Mat Maneri baritone violin; Ed Schuller bass; Randy Peterson drums. 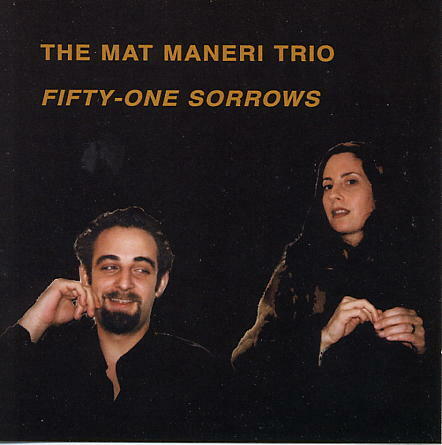 The brightest star on the new music scene, Mat Maneri recorded his trio in 1997. Apart from six original compositions on the CD (Mat Maneri's own), the trio recorded two versions of Ornette's Tone Dialling. fingers can provide such answers, I've given up. on the poem Fifty-one Sorrows written by my wife Christine Coppola Maneri. number, became the building blocks of something much sweeter.